Is Marking Individual Doses The Future Of Anticounterfeiting? This is the last article in a five-part Life Science Leader series examining the current state of the counterfeit medicines problem. Previous stories looked at efforts to quantify the crime, examined the issue from the perspective of the industry giant Pfizer, described how an international coalition is fighting the crime, and highlighted the latest programs aimed at teaching the public how to safely shop for medicines online. It sounds simple. Mark each pill made in the world with a high-tech laser or an edible, microscopic tag that can be read like a bar code — called a taggant — to determine authenticity and origin. Surely, such a technology would slow down the rapidly growing counterfeit drug industry, an illicit market estimated by the Center for Medicine in the Public Interest to be worth $95 billion in 2016. The technology exists, but will widespread marking of individual doses of medication ever become a reality for the pharmaceutical industry? Taggants are uniquely encoded materials or chemistries that are virtually impossible to duplicate. They can be used on finished products, ingredients or materials used to make products, and on packaging. They can be read in the field with handheld devices and are already being used successfully to thwart counterfeiting of everything from Pima cotton sheets to microchips used in military aircraft sensors. These industries and others have proven that taggants are inexpensive and versatile enough to be incorporated into complex, global supply chains. The challenge now for makers of edible taggants is to convince drugmakers of the benefits of taggants, the safety to consumers of adding them to their drugs, and the ease with which they can be incorporated into their existing manufacturing and distribution systems. Barcodes are at the heart of current serialization efforts. However, a traditional bar code can be easily replicated by simply copying the visible print pattern. Taggants as a class are much more secure than printed barcodes as the encoding cannot be easily seen, understood, or replicated — making them ideal for fighting counterfeiters and deterring diverters. The global serialization system is expected to be up and running within two years. “Companies are working very hard and doing a good job overall on adopting standards of serialization that have been imposed on them,” says Bob Miglani of Applied DNA Sciences (ADNAS). Miglani, who spent 23 years at Pfizer, attended an anti-counterfeiting conference in London in September 2016 where attendees discussed the current efforts to use unique identifiers on drug packaging. “One participant asked why we were talking so much about serialization on the packaging when we know that, once a package is broken, bar codes don’t help,” he recalls. In the U.S., ADNAS and TruTag Technologies make microscopic taggants that, like Microtrace’s products, have been used in a variety of industries to thwart counterfeiting. The difference is that the taggants made by ADNAS and TruTag are edible. TruTag’s taggants are made from silica, a common excipient used in food and drugs. “These tags can be added to coatings, applied to the exterior of products and edible goods, or added to ingredients, such as powders,” explains Hank Wuh, chairman of TruTag. “Counterfeiters are often very determined,” says Brian Brogger, president of Microtrace, the company that first introduced taggants to the world in 1985. Today, Microtrace manufactures a range of taggant technologies that are used in a variety of applications including packaging of pharmaceutical products. The company also has developed laser systems that are being used to mark pharmaceutical tablets. These markings are made with covert features that make it difficult for a counterfeiter to see or recognize. And, with magnification, these markings can be read with the human eye. Manufacturers argue that marking individual doses will take anticounterfeiting efforts to a higher level of security. “With this technology, the pill becomes the bar code,” Miglani says. He points out that there are some issues that cannot be addressed by serialization of packaging, either through the use of taggants or traditional bar codes. And of these problems is decommissioning. In the U.S., packages are broken up at the pharmacy. Sometimes, for whatever reason, a pharmacist may suspect that the drugs they have received are not authentic. “If you put a DNA tag on the tablet, then the suspect package can be set aside until further testing takes place,” Miglani says. Problems of authenticity also exist in the making of drugs. Global pharmaceutical makers often depend on several suppliers to make their products. Often, these are smaller companies that go in and out of business with great frequency. This creates potential holes where counterfeit ingredients can enter the system. “Our microparticles carry embedded codes that are variable and can be modified by batch to differentiate product origin all the way down to the manufacturing equipment line on which the units were produced,” Wuh explains. Taggants used in sheets are one thing. The big question consumers will be asking drugmakers is: “Can molecular tags be safely ingested?” The FDA has already determined that the answer is “yes.” The agency issued two sets of relevant guidelines for pharmaceutical companies considering the use of plant-based or silica molecular tags. In 2010, the FDA issued guidance concerning the residual or accidental use of biological materials used in vaccines. Their guidelines allow for small amounts of human DNA in vaccines. The DNA particles are acceptable if they are less than 200 base pairs in length and present at about 100 micrograms or less. ADNAS taggants are made of plant-based DNA, always 200 base pairs or less, and would be applied to drug tablets in parts per trillion — in most cases one million times less than the threshold amount allowed by the FDA for human DNA. A second set of guidelines issue by the FDA in 2011 detailed the incorporation of physical chemical identifiers (PCIDs) in solid oral-dosage form drug products. These guidelines make it possible for drugmakers to incorporate PCIDs without having to redo clinical trials. The document defined molecular tags as a kind of PCID and stated that, when PCIDs are pharmaceutically inactive and incorporated into new or existing drugs, they can be treated as excipients. This designation paves the way for seamless incorporation into drugs already on the market. Drugmakers have the option of simply filing changes to their coatings, inks, or APIs , or tagging fillers as part of their annual report to the FDA. Ten years ago, the cost of marking individual pills may have been prohibitive and the idea of new clinical trials for existing drugs a nonstarter. But, with recent FDA guidelines and the advent of inexpensive technology, the real barrier now to the widespread use of taggants is the complexity of global pharmaceutical supply chains. 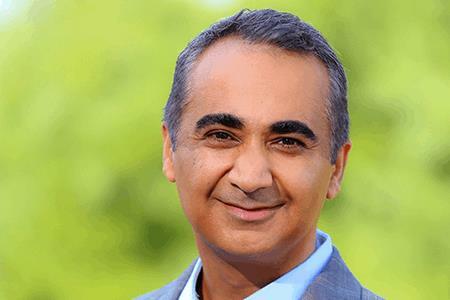 “As providers of security taggants, what we have to do is not only offer a high-quality taggant but also demonstrate how seamlessly it can be integrated into their already-existing sophisticated system,” Miglani says. But, not all methods of marking individual doses are created equal, says Brogger. “There are no ‘silver bullets’ in brand protection.